Here is an article written by Jim Wade, Nicole's trainer, for the August 2016 issue of People & Places. You can find Jim Wade's article about Nicole's win on page 12 at the above link or re-posted below. ​“Your Daughter is a World Champ!” These are the words I had the privilege of saying to one of my student’s parents as we cheered for her ringside at this year’s ATA Taekwondo World Championships. My name is Jim Wade. My wife Marcy and I are chief instructors of ATA Martial Arts in Franklin Park. We’ve owned and operated the school for the past 11 years. We’ve had the honor and privilege of instructing thousands of students over that span. However this is the first time we have ever trained a student that has gone on to compete for, and win, a World Championship Title. Nicole began training at our school in September 2012. Nicole immediately showed she was a hard worker, but being new at top martial arts, she sometimes had difficulty mastering her taekwondo forms. However, her attitude toward training, or gritty personality, proved to be much more valuable as she began her quest to be a high achieving competitor. 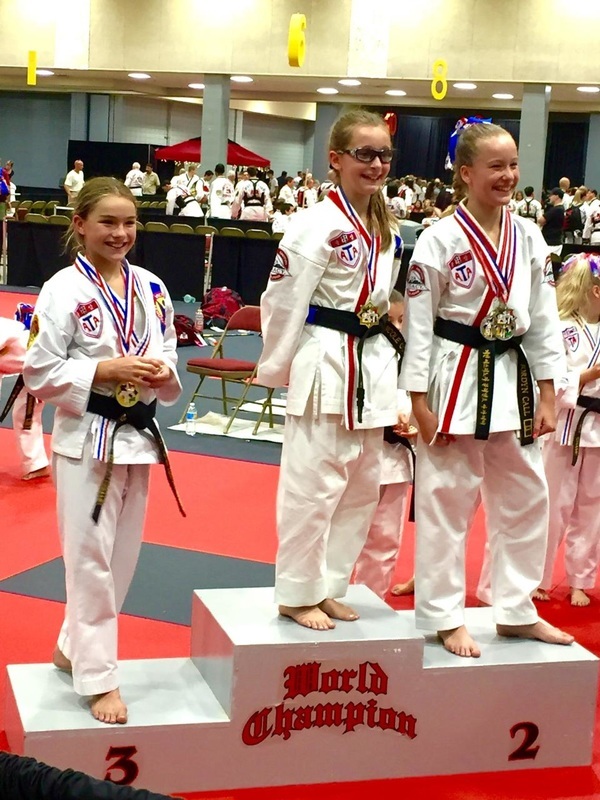 Nicole is a 10 year old 2nd Degree black belt and competes in the 9 & 10 year old 2nd and 3rd degree black belt division. 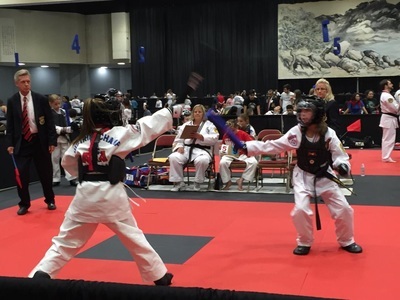 During the past twelve months, Nicole has competed in numerous state tournaments; mane in Illinois, Indiana, but also in Michigan, Kentucky, Missouri, and Nevada. 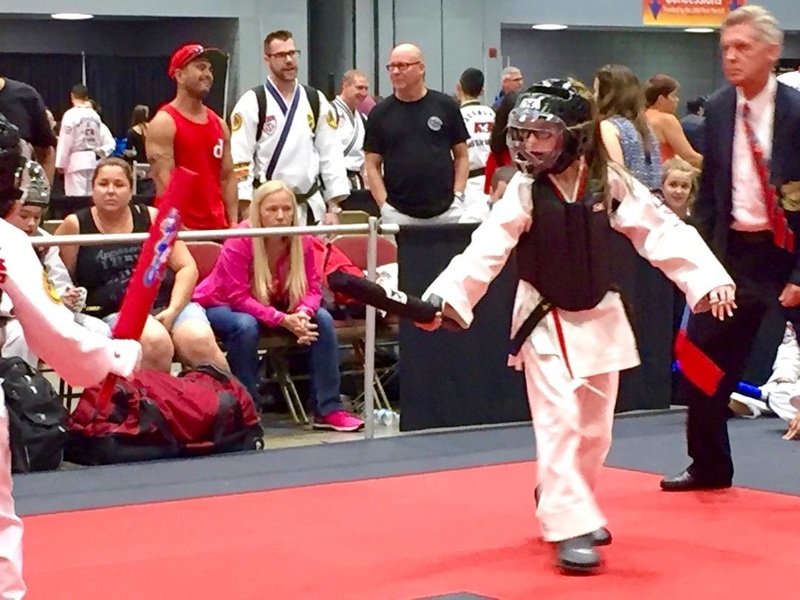 By Nicole attending class 4-5 days a week as well as competition classes and private lessons it created a recipe that allowed her to qualify #9 in the top 10 standings in the world for Combat Sparring. 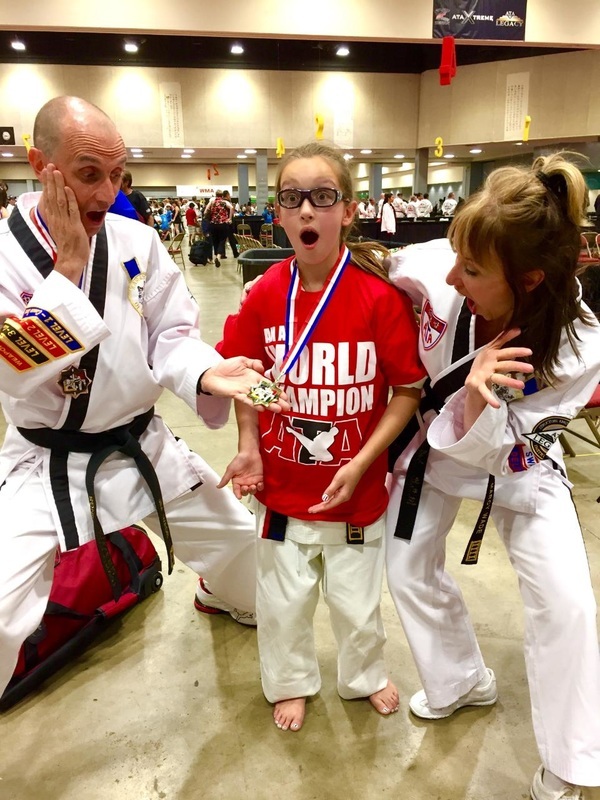 Her opponents at World Championships included the #4 and #1 ranked Black Belts with the final match for World Champ being against the #2 ranked girl. The match time expired with the score tied at 7-7. The next point would win. 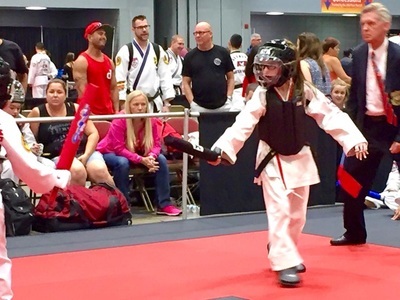 Patience proved a great attribute as Nicole countered her opponent, striking first and earning the title of 2016 World Champion in Combat Sparring. There was cheering as well as tears. Some feelings of, “is this really happening?” This was Nicole’s first trip to the Tournament of Champions. She competed a great deal all season, but never faced so many competitors in succession that were all as good or better than she was. But sheer talent did not win the title this year. Nicole’s talent is eclipsed by her determination, dedication and incredible will to compete. She and her parents have certainly earned this moment through hard work and sacrifice of much time. “Moment” is a good word to describe this event as the new tournament season has begun and Nicole is already planning her competition schedule. As her instructor, I could not be more proud of what she has achieved and the road she took to get there. 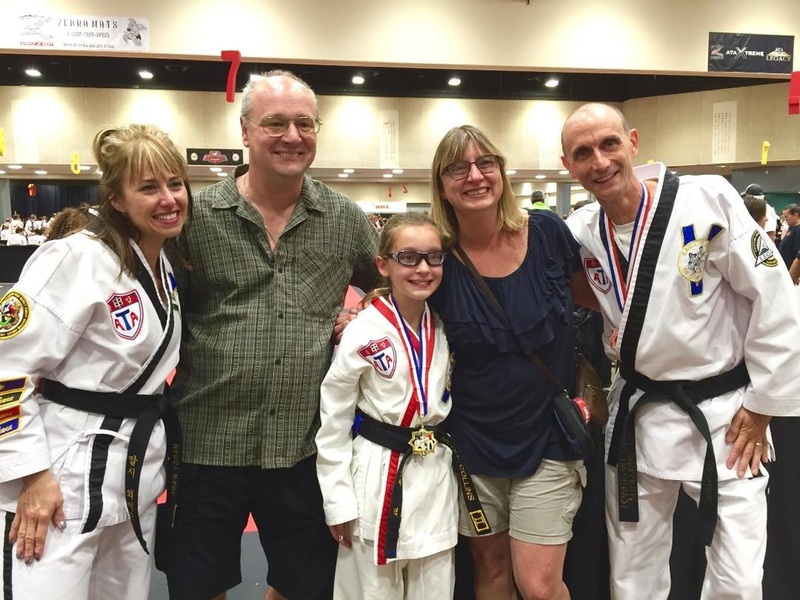 Nicole is an example for black belts of all ages. She also helps teach the 4-6 year old Tiger Students. Nicole’s goal is to compete hard again this year and return to the Tournament of Champions in 2017. Do I think she will make it? Absolutely! Will she be World Champion again? This I do not know. But I’m sure Nicole will do everything in her power to give herself the best chance to succeed. She does have a small advantage though…..She’s already World Champion!